Extradition from Philadelphia, PA to another state can be a very confusing and slow-moving process. The Philadelphia criminal defense lawyers of Goldstein Mehta LLC can help you navigate this process, protect your rights, and get you out of custody as quickly as possible. Extradition is an issue when the defendant has an arrest warrant from a state other than Pennsylvania and is arrested in Pennsylvania either on that out-of-state warrant or on new charges. The United States Constitution generally requires states to cooperate with each other in turning over prisoners who have warrants in other jurisdictions, and Pennsylvania has enacted laws governing extradition in order to comply with that constitutional provision. The timeline of the extradition process varies depending on whether the defendant has been arrested on new charges in Pennsylvania or whether the defendant has been arrested solely on the arrest warrant issued by another state. In cases where the defendant has been arrested solely on an out-of-state warrant, the defendant will be processed in the same manner as if the defendant had been arrested on new charges. The defendant will spend approximately 10-20 hours in Philadelphia Police custody before the defendant goes through preliminary arraignment and has bail set by a bail commissioner. At preliminary arraignment, the District Attorney’s Office will file charges pursuant to 42 Pa.C.S. Sec. 9134, Arrest Prior to Requisition, and the court docket will show the case as being listed for a preliminary hearing in Motions Court in the Court of Common Pleas. However, the District Attorney does not file charges for the purpose of pursuing a conviction. Instead, the charges act as a placeholder while the District Attorney determines if the jurisdiction which issued the arrest warrant intends to spend the money to come pick the defendant up and transport him back to stand trial. In cases where the defendant has been arrested on new charges in Philadelphia, the extradition case will typically follow the same course. The defendant will undergo preliminary arraignment and have bail set for both for the Fugitive of Justice warrant as well as the new case, and bail will typically be even higher due to the fact that the defendant now has additional charges in Philadelphia. The main difference between extradition when there is a new Philadelphia case and when there is not a new case is that Philadelphia does not have to release the defendant until the Philadelphia case is resolved. This means that a defendant who cannot make bail on the extradition case can be held indefinitely, in some cases for years if the defendant intends to fight the Philadelphia charges at a jury trial, until the Philadelphia charges have been taken care of. Can I get bail during the extradition process? Pennsylvania is one of the few states that allows a fugitive who is awaiting extradition to post bail and be released. However, because the defendant was a fugitive, bail is typically going to be very high. Even for minor crimes, bail may be set at $100,000 or more, and the defendant must post 10% in order to be released. If the defendant pays 10% of the bail, then the defendant will be released pending extradition. If the defendant cannot post 10%, then the defendant will be held in custody in the Philadelphia Prison System until the extradition case is resolved. 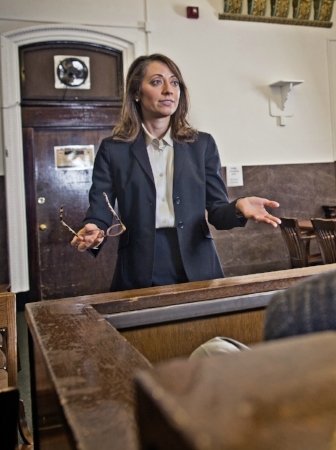 Bail is one area in which an attorney may be able to make a big difference. If you retain an attorney prior to preliminary arraignment, the attorney can be present and argue for the lowest possible bail to be set initially. Likewise, in cases with particularly compelling and deserving circumstances, it may be possible to convince the Motions Court judge to reduce the bail set by the bail commissioner. It is, however, relatively uncommon for Motions Court to reduce bail. in these cases. HOW LONG DOES EXTRADITION TAKE? HOW LONG CAN I BE HELD ON AN OUT OF STATE WARRANT? A contested extradition may take up to 120 days to be resolved. Once preliminary arraignment occurs and bail is set, the extradition case will be scheduled for a hearing in Motions Court in the Court of Common Pleas. That hearing will typically be scheduled within a few weeks. This gives the District Attorney’s Office time to get what is called a Governor’s Warrant. Once the defendant is in custody, the District Attorney’s Office notifies the state which issued the warrant that the defendant is in custody. That state then has to provide paperwork confirming the warrant and informing the Governor of Pennsylvania that the other state intends to pick up the defendant and prosecute the defendant for the charges in that state. In cases involving states which are farther away or in cases involving minor charges, the other state may not want to spend the money and effort involved in getting the defendant back. In that case, the state will notify the District Attorney that they do not intend to seek extradition, and the extradition case will be dismissed. However, if the state does provide the necessary paperwork, which includes the complaint and identification information of the defendant, then the Governor will issue a Governor’s Warrant which gives Pennsylvania the authority to continue holding the defendant and turn the defendant over to authorities from the other state. The other state will have thirty days from the issuance of a Governor’s Warrant to come pick the defendant up or the defendant should be automatically released. However, in some cases, the defendant will not be automatically released, and it will be necessary to file a motion in Motions Court asking the Motions Court judge to release the defendant. Unfortunately, this process can take a long time. It is extremely uncommon for the District Attorney’s Office to know at the first hearing whether or not the defendant is going to be extradited. Therefore, the Motions Court will usually continue the case for thirty days. The Motions Court may continue the case repeatedly because the defendant can be held for up to 90 days before the defendant must be released. If the District Attorney fails to obtain a Governor’s warrant within 90 days, however, the defendant will be released. But if the defendant cannot make bail, then the defendant will remain in custody until 90 days have passed. Therefore, there are cases in which it is advisable for the defendant to waive his or her right to contest extradition. This has the effect of eliminating the 90 day waiting period while prosecutors find out about a Governor’s Warrant. Instead, the 30 day clock for the other state to pick the defendant up begins running form the date that extradition is waived, and this can rapidly speed up the process. However, it usually only makes sense to waive extradition when the defendant does not have open cases in Philadelphia. That is because once extradition is waived or a Governor’s Warrant is issued, the court will revoke bail and the defendant may no longer pay 10% to get out of custody. If the defendant already paid the 10%, the defendant will be taken back into custody. If there are no other charges in Philadelphia, then the 30-day clock will run, but if there are charges in Philadelphia, the 30-day clock does not begin running until the Philadelphia case is resolved. Therefore, if there is an open case in Philadelphia, waiving extradition will have the effect of revoking the defendant’s bail until the Philadelphia charges are resolved. Extradition is a confusing and slow-moving process, but there may be ways to speed it up and obtain bail pending extradition. Our Philadelphia criminal defense lawyers will fight to get you or your loved one through this process as quickly as possible. Call 267-225-2545 today for a free, 15-minute criminal defense strategy session.